I don't know much about politics, and don't really care to. You can hate on me all day and tell me how important it is, but it's not going to change the fact that our government will do what they want to do no matter what I think and say, or how I vote. My political standpoint is not up for debate. 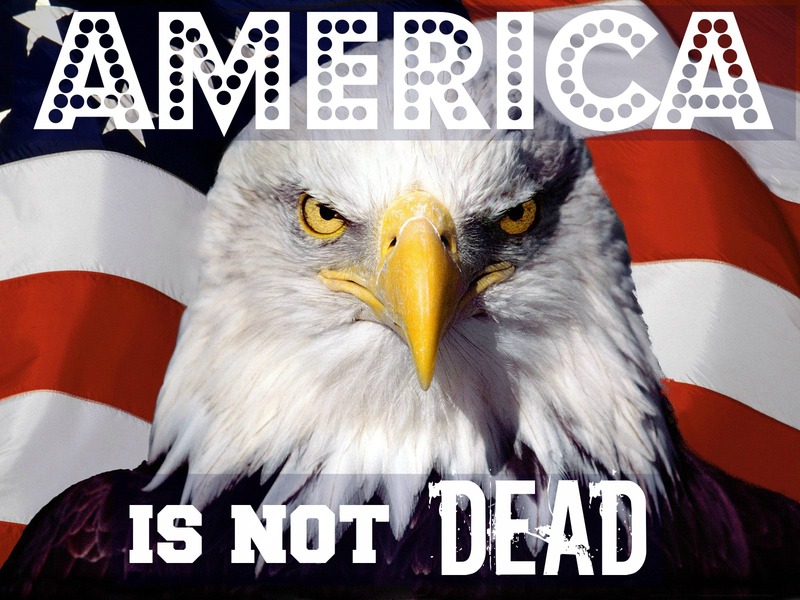 The real issue I have is the statement that America is dead. To say this is a huge slap in the face to all of our military persons who fight for our country every day, to the veterans who risked their lives to keeps us safe, to the men and women that have given their lives so that we enjoy the freedom of posting pictures like the one I mentioned. And also, to the men, women, and children that are home praying and worrying about their loved ones who have dedicated their lives to our country. If America is dead, what are we fighting for? There are so many comments on this picture pertaining to racism and The President or past Presidents. There were comments stating that America really died in 2001, 1963, or 1913. There were people spouting off about their religious views, wars, education, taxes, etc. What bothered me the most was all of the hatred and intolerance from each standpoint. It's ok to have completely opposite views and opinions. If we didn't, I don't think we would have progressed as far as we have technologically and in medical science. But, if we attack people based on their beliefs and opinions our world will forever be plagued with hate and violence (both verbal and physical). The person who shared the photo has vastly different views and opinions than my own, but I still love and respect this person because that is the only way the world will ever be at peace. P.S. This will probably be the only time you'll ever see me post on anything remotely political. It was not meant to offend anyone, but to stand up for those who keep our county alive and kicking. I'm not going to share the picture, the link, or the name of the person wearing the shirt. I do not want my blog to be associated with politics in any way shape or form. So, please, do not ask. This is the kind of stuff that really bothers me. For me, it does feel super racist when people say that since Obama became president that this country has gone down hill. I could see that, but then why was he re-elected again? Obviously some people like him. And if I see one more side-by-side picture of Obama next to a monkey I'm going to flip on some people.